Here you will find Busse Custom Shop knives that reside in private collections. 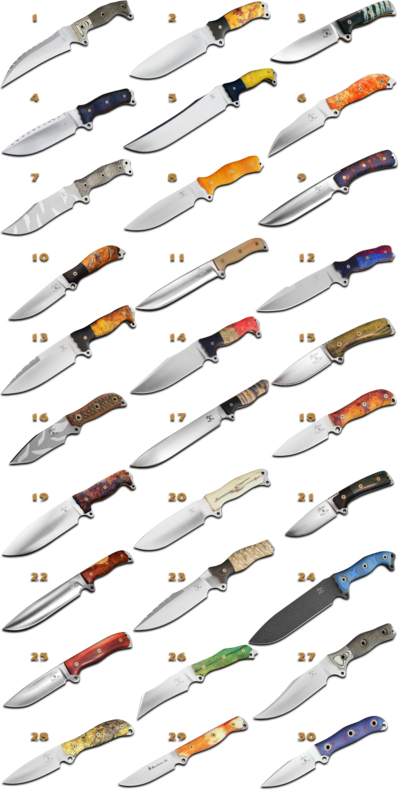 These knives are not for sale, but may give you some ideas to help design your custom knife. If you would like to use a particular blade shape or handle material shown in a picture below, please use the contact form and refer to the knife number which is shown above each knife.